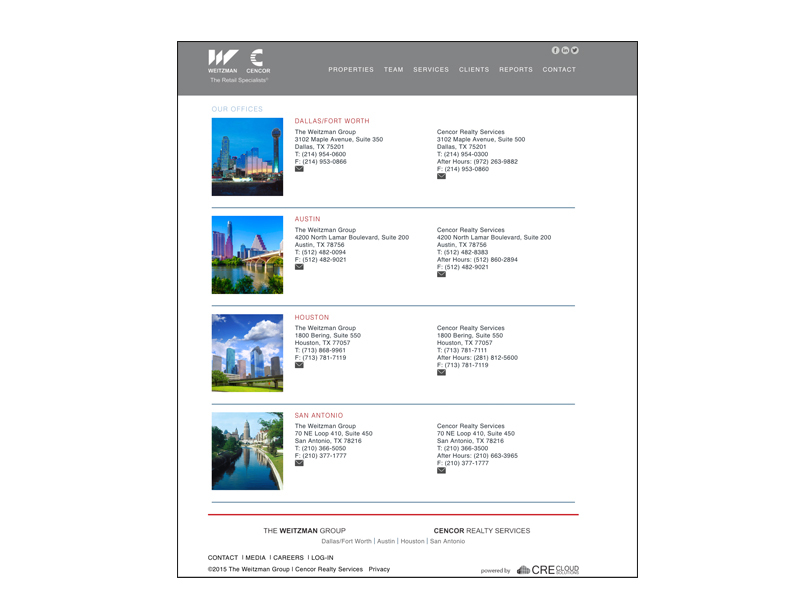 CRE Cloud Solutions—a Dallas-based cloud service hosting commercial real estate websites—needed a clean, professional, and responsive website template able to accommodate a variety of logos, color palettes, images, and information configurations. 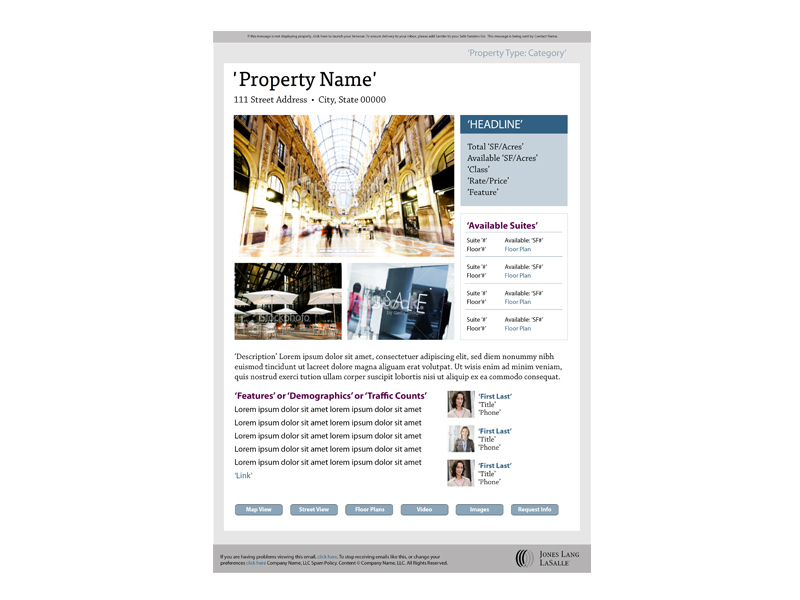 ’Berta took on the challenge of creating a flexible template solution with many page types for displaying information on a client’s site. 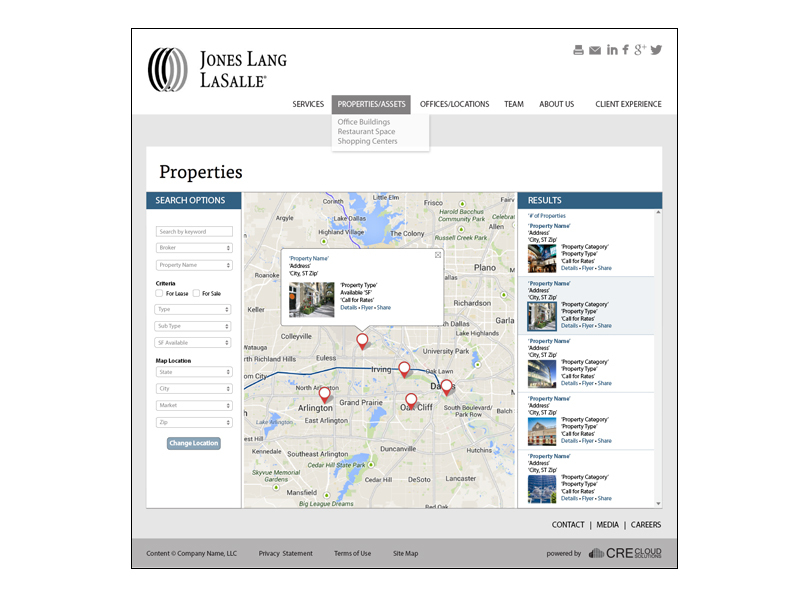 be “generic” enough to accommodate the different branding and information needs for each real estate client. 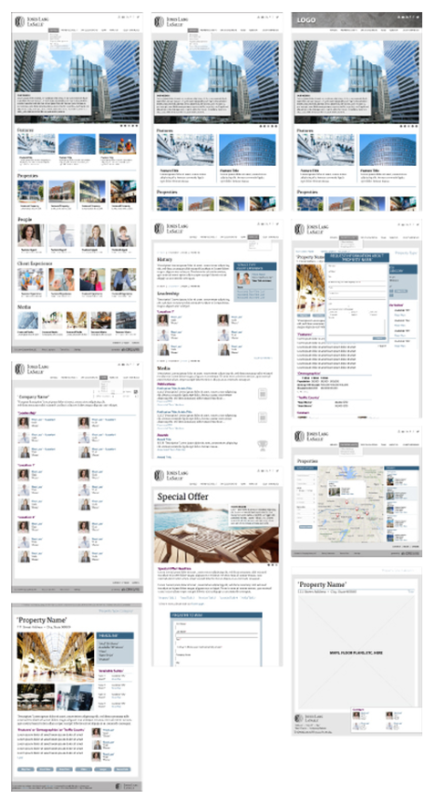 be easy to update via an online admin interface. 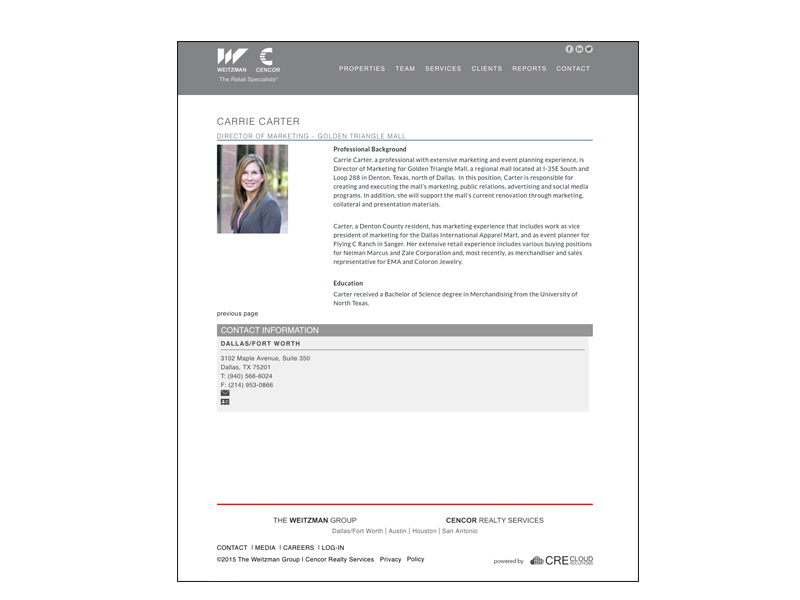 be customizable for special clients by leveraging the original format, but with different functionality and effects added. 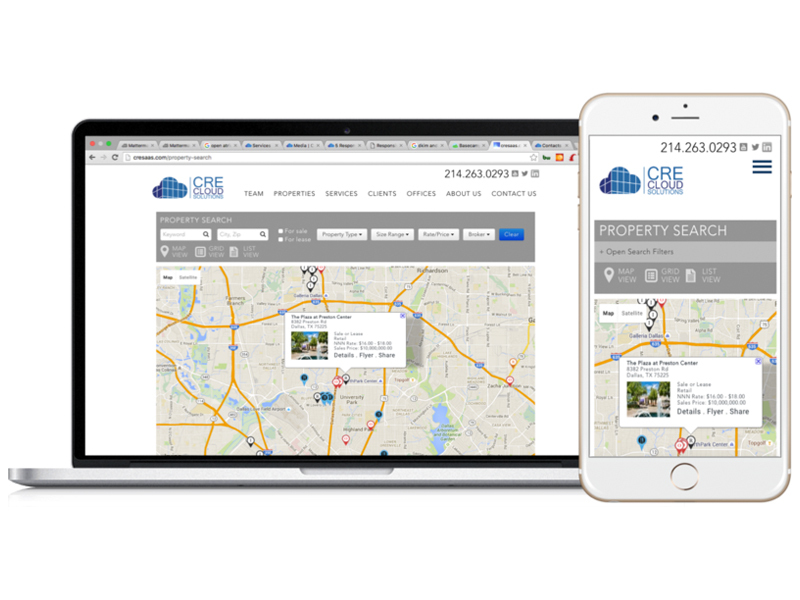 intuitive for potential users including real estate agents/companies using the site as a listing portal, or those looking to rent or buy commercial or residential real estate. 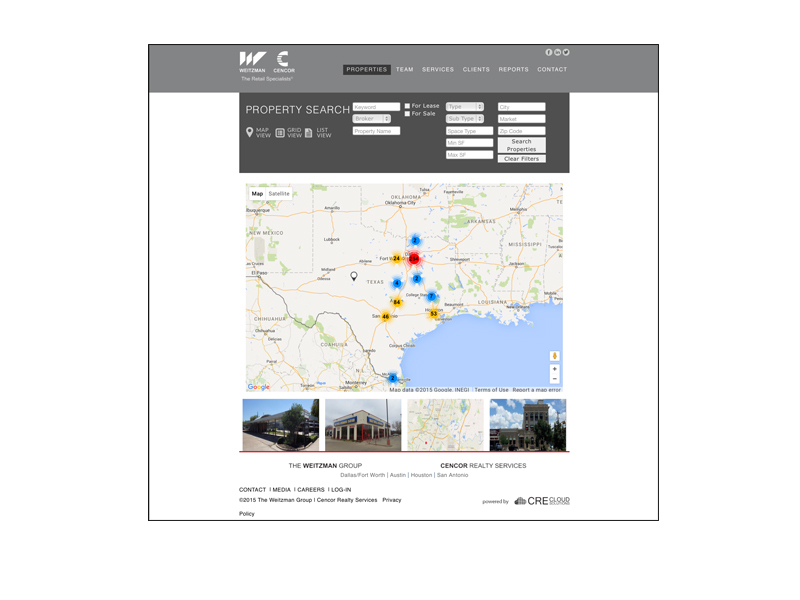 received key information about CRE users and deliverables. 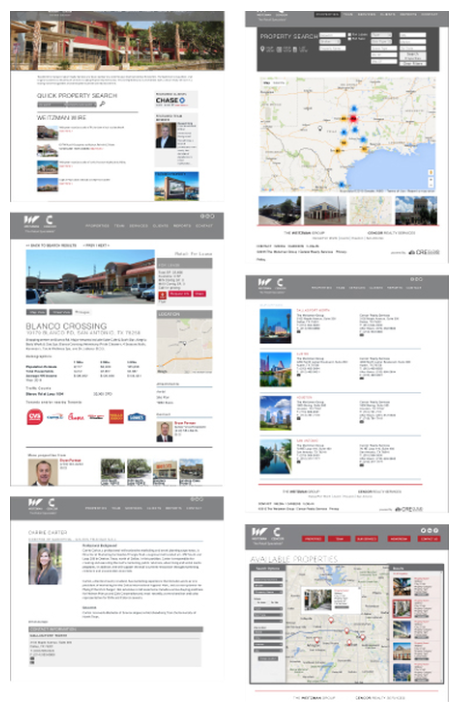 provided a variety of layout solutions based on the initial input from the Project Manager, iterated on the layouts per CRE’s feedback, finally landing on a complete set of template pages. 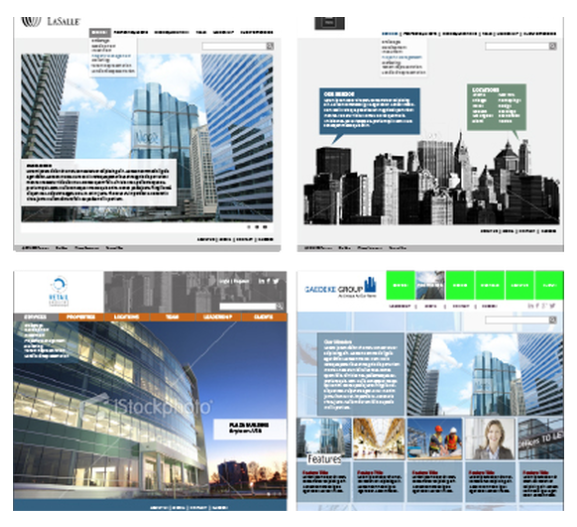 created high-fidelity wireframes to inform programming based on the needs of CRE’s clients, accommodating: various logo aspect ratios, color palettes, branding, photos, page layouts, information structure, etc. 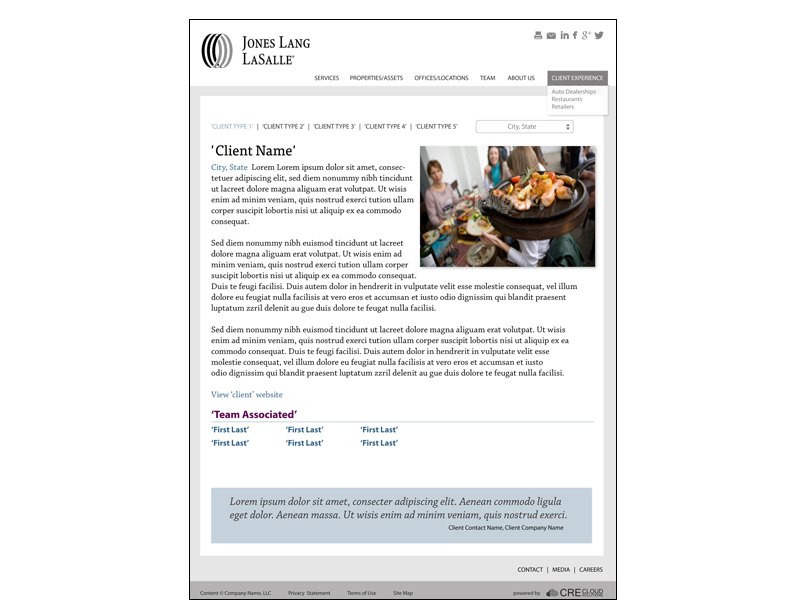 provided all final digital assets and CSS style specs to the programmers so they could code the final template product. 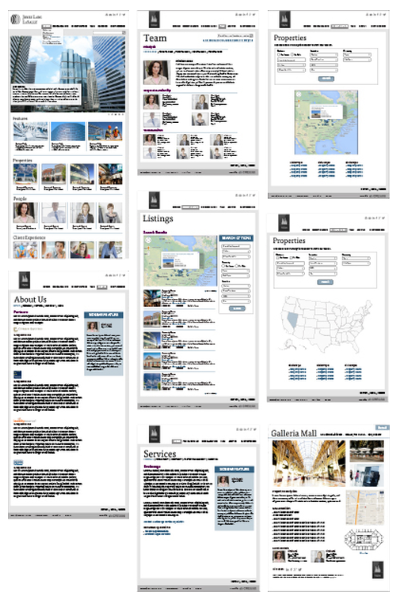 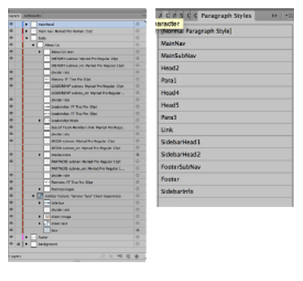 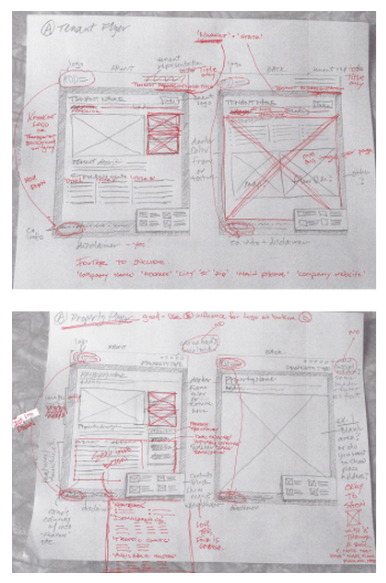 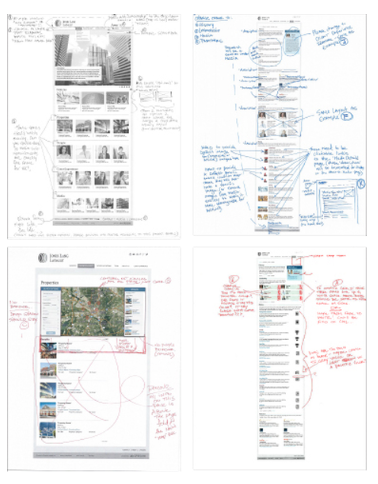 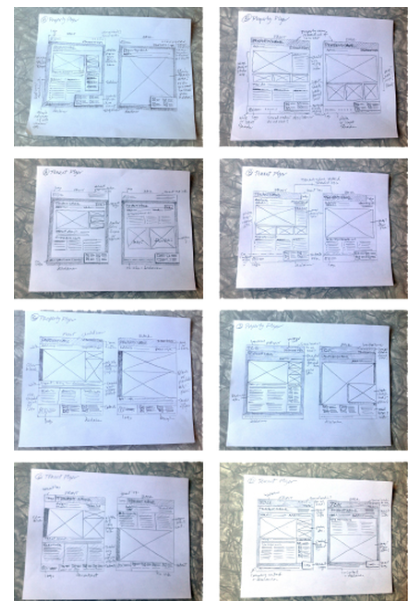 Initial home page sketches show various layout options, themes and styles, with a focus on navigation, with options expanded to show below-the-fold. 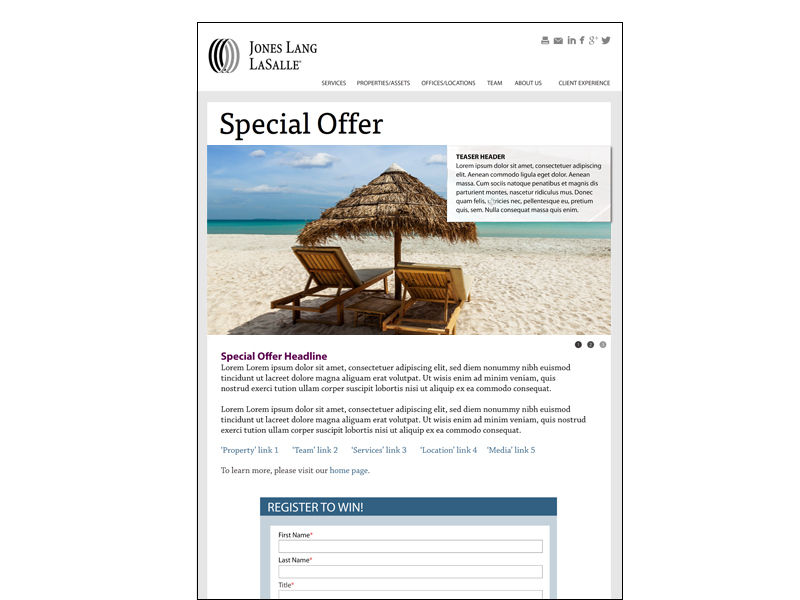 offers an admin interface for adding and managing the client content using a variety of page templates on offer. 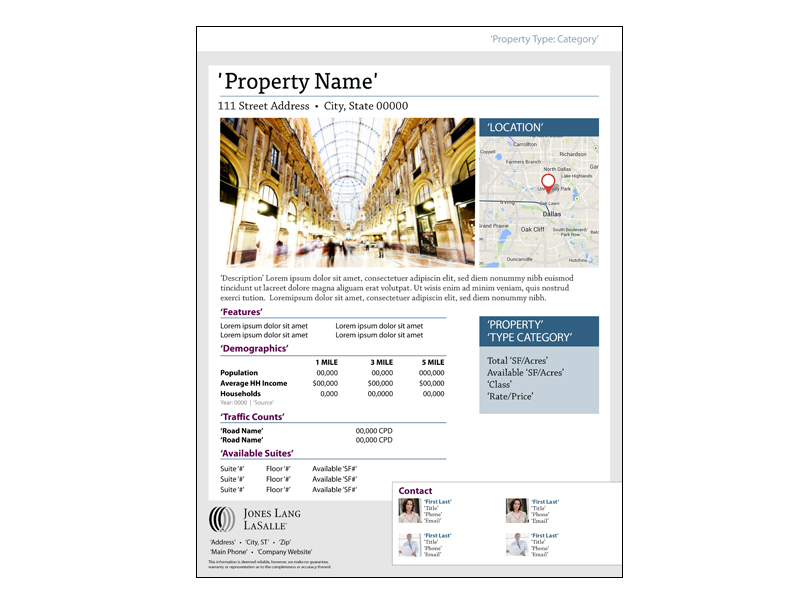 includes page types for: home, location page, team page, team member profile, brokerage portfolio, property detail, map, auto-generated property flyer, property email, special offer/incentive, client type, and press pages. 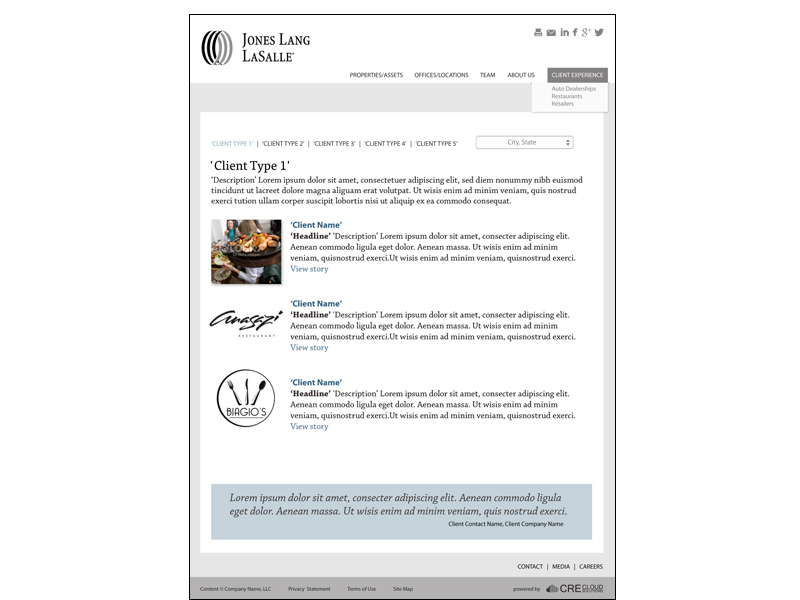 includes specifications to programmers for CSS styles for type, color, as well as final wireframes for reference. 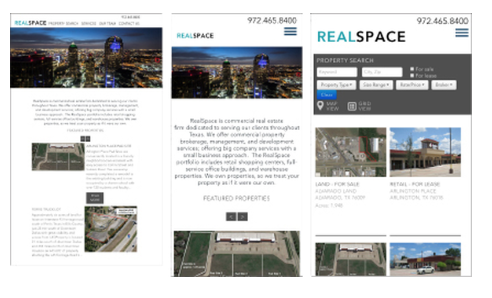 Other sites that use this template include: libertyum.com, realspacetexas.com, and Judsonrealestate.com​. 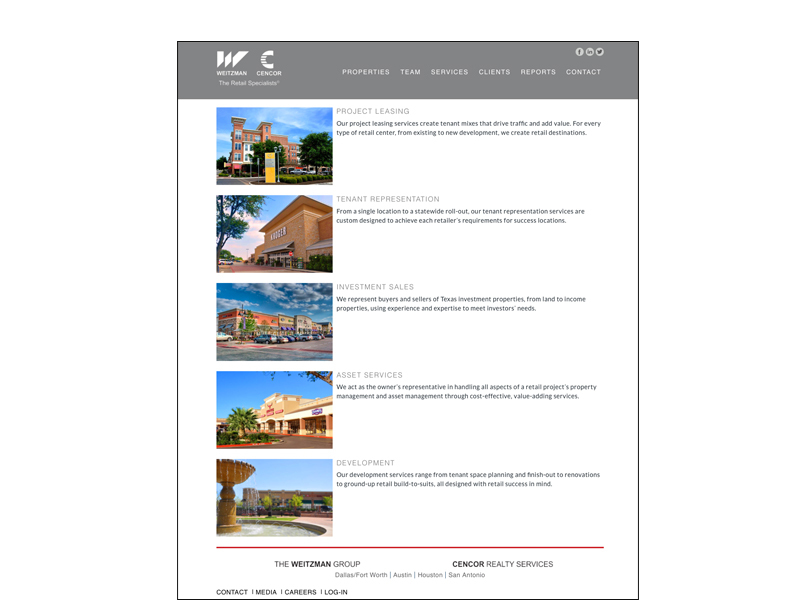 View CRE’s site for more information on the template and functionality offered.​ This YouTube channel outlines CRE’s template system in more detail. 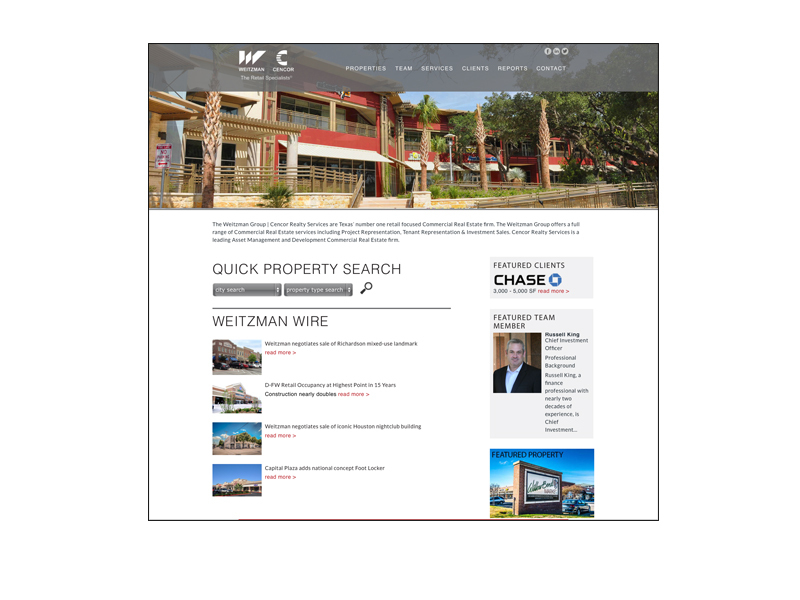 After the completing this project, CRE needed a specifically tailored solution for the Weitzman/Censor real estate group. 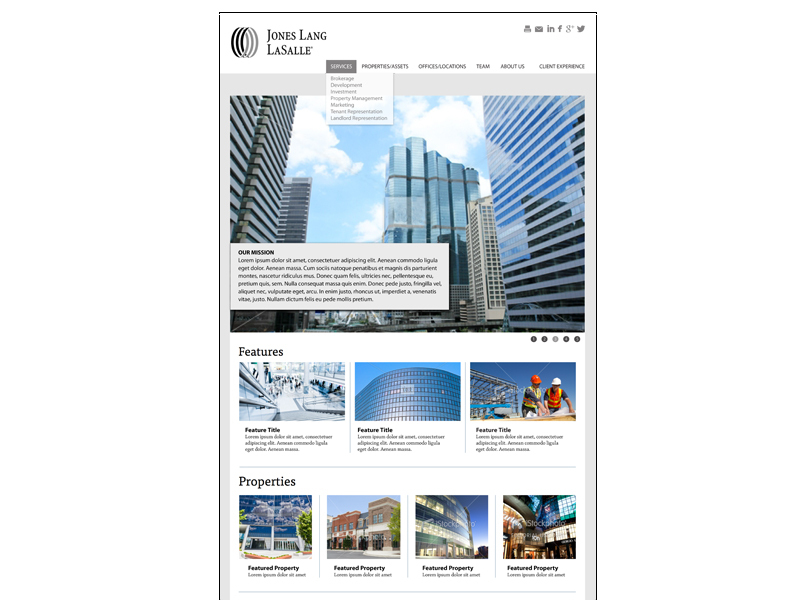 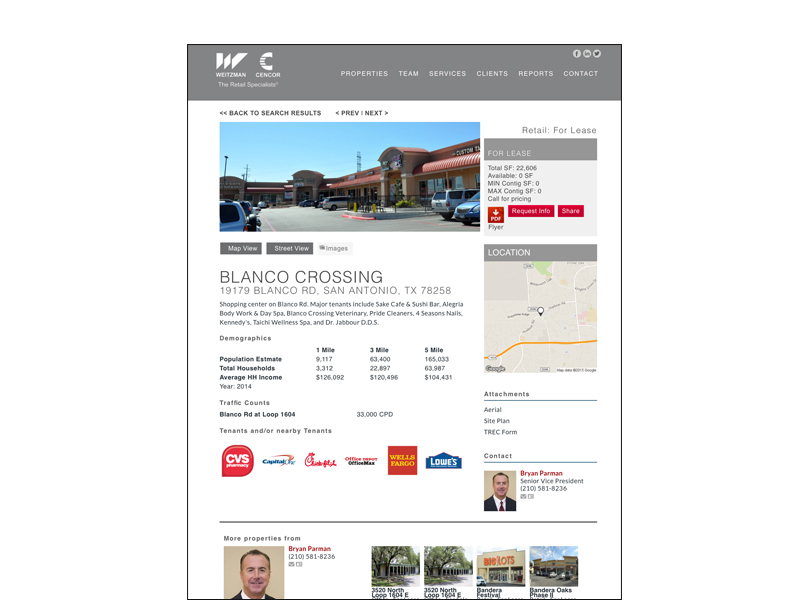 This project involved adapting the CRE template based on input from the client (“More glassy!”). 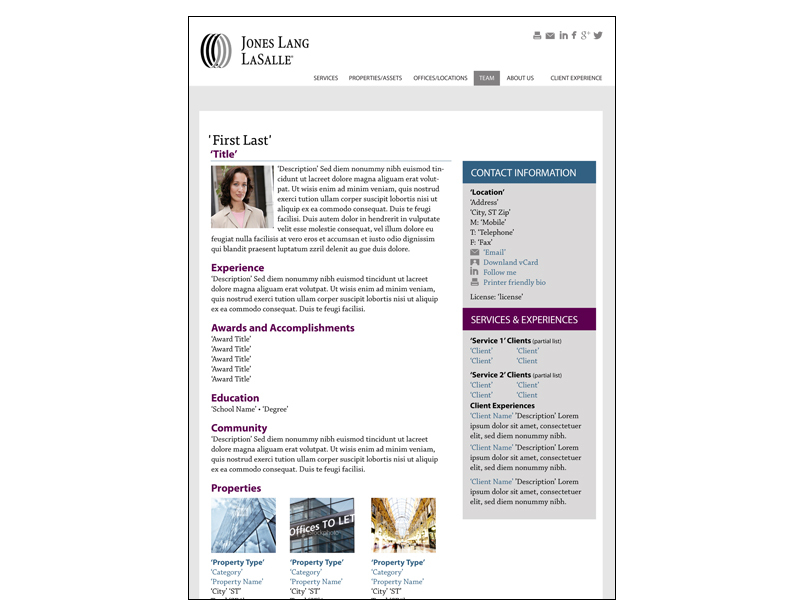 ’Berta provided layered asset files to the programmers with explicit instructions for styles. 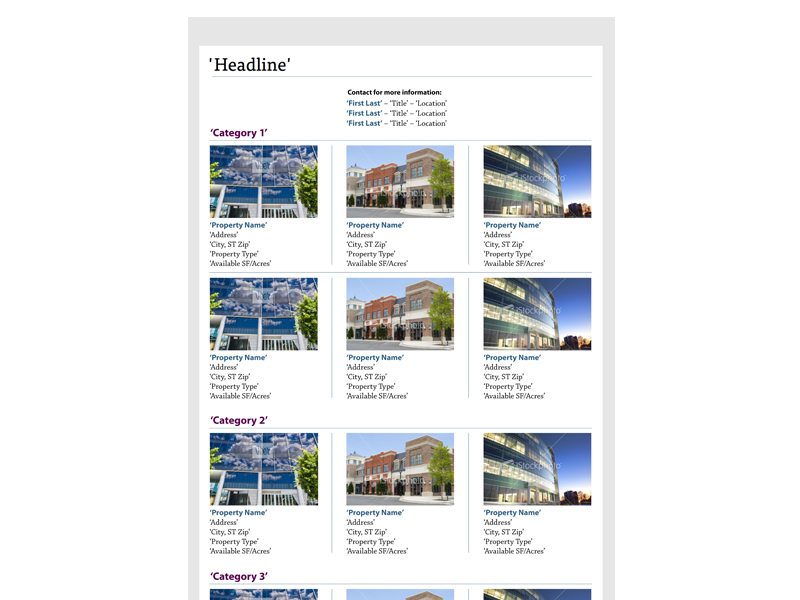 See example pages below.